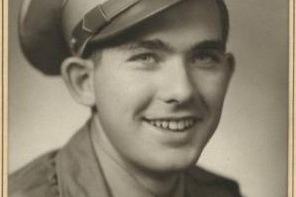 Loren Kissick landed at Normandy on D-Day on June 6, 1944. Ceremony in Normandy for the 75th reunion come true. KING 5 News did on his experiences. sister and I will accompany him to help take care of him. He is mentally sharp and physically able to make this trip. We want to make his dream come true. We hope to be able to make arrangements by the end of the year. We will use the funds to pay for his flight, hotels, ground transportation, and meals. We will use any extra funds to help pay for my sister and I to accompany Dad to help take care of him on the trip. We will be eternally grateful to whatever anyone is able to contribute.